Beginning his career with the Joshua Wilton House in 2007, Bill Daulton has served the Harrisonburg community by working his way up from a server, to bar manager, restaurant manager, and currently serves as the General Manager since December 2017. His passions include: researching the latest ingredients and cooking techniques that chefs are utilizing, procuring the highest acclaimed wines that sommeliers are excited about, and implementing new ideas and processes to elevate the current hospitality standards. He is an avid cook at home and has studied to become a certified sommelier through the Master Court of Sommeliers, helping him to provide the best possible wine options for guests to enjoy. As Wine Director, Bill has been instrumental in our receiving of the Wine Spectator's Award of Excellence in 2018. His dedication to hospitality is focused on taking care of people and helping them to enjoy some of the best things in life: delicious food & exceptional wine! A local of the Valley, Jacob Dinges had humble beginnings with a degree in Culinary Arts from a local vocational school, Tripplet Tech. Shortly after graduating, Jacoby attended the Culinary Institute of America to hone his skills in pastry baking and service management. Shortly thereafter, Jacoby took his talent abroad to Saarbrucken, Germany where he worked constructing intricate dishes for a three Michelin star restaurant, Gästehaus Klaus Erfort. After enjoying his time abroad, Jacoby returned to the Valley and worked as the lead Pastry Chef for Bella Gelato, before coming to the Joshua Wilton House in October of 2018. We are happy to have Jacoby join our team; his desserts express an elegance and refinement worthy of such a historic and influential home. Raised in the Shenandoah Valley, Jake has developed a passion for studying it's rich history, agro-tourism trends, and the ever-changing hospitality industry. Jake joined the Joshua Wilton House team in August of 2015 as a server and has strived to provide a comfortable atmosphere for his guests, while encouraging a dialogue about local farms and the history of Joshua Wilton himself. Currently, Jake operates as the lead server and assistant manager. Encouraging staff to enjoy the breadth of knowledge available within our valley, Jake has implemented monthly staff trips to distilleries, breweries, vineyards, and local farms. By providing education experiences for the staff members to learn the product from start to finish, Jake hopes to instill a sense of pride in our product that is effortlessly conveyed to guests for many years to come. "I find that a meal tastes better, wine tastes richer, and the ambiance is more influential when someone knows the history behind how their evening came to be. Nowadays, it is all too easy to forget where the food on our plate comes from, and therefore the generations of hard working farmers who fed our community as it has grown. Food is powerful, and a great meal is hard to forget. To me that seems like the best time to indulge the mind as well as the senses." Born and raised in England, Tom French was introduced to the intricacies of cooking at the age of 16 when he began attending culinary school. During his education, Tom was awarded an internship at Buckingham Palace and Windsor Castle where he cooked for the Queen of England and her guests. With his mounting experience, Tom traveled state-side after graduation and received an internship at Keswick Hall in his first years in the U.S., and began working at the Joshua Wilton House in 2009. He has always been a driven chef, focused on incorporating French culinary techniques into his dishes and building working relationships with local farmers. 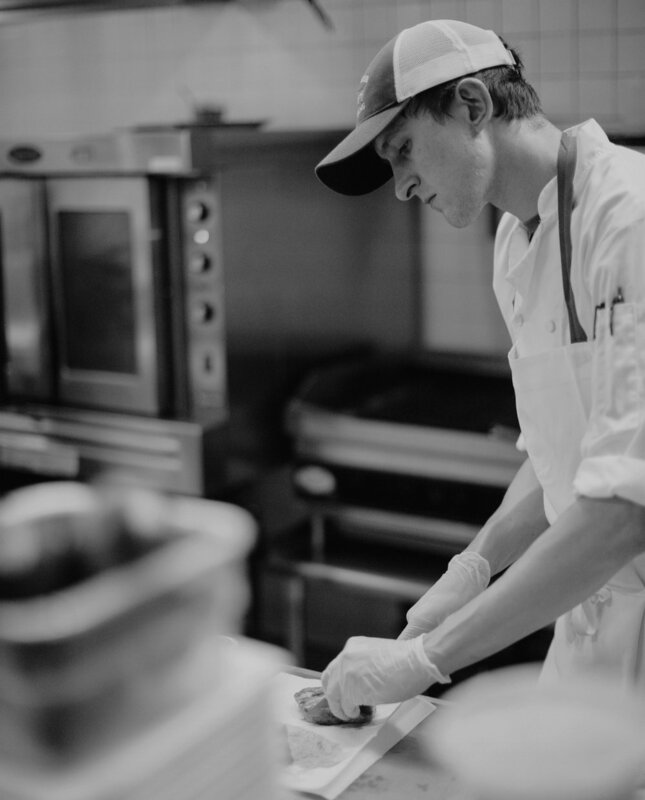 Tom became the Executive Chef of the Joshua Wilton House in 2017 and recently was awarded the Best Chef in the Valley for Harrisonburg in 2018. He has a rare talent for enhancing any ingredient that he works with and is committed to providing for Harrisonburg an unrivaled culinary experience. Nick Boucher is a local gentleman with a long working history at the Joshua Wilton House. 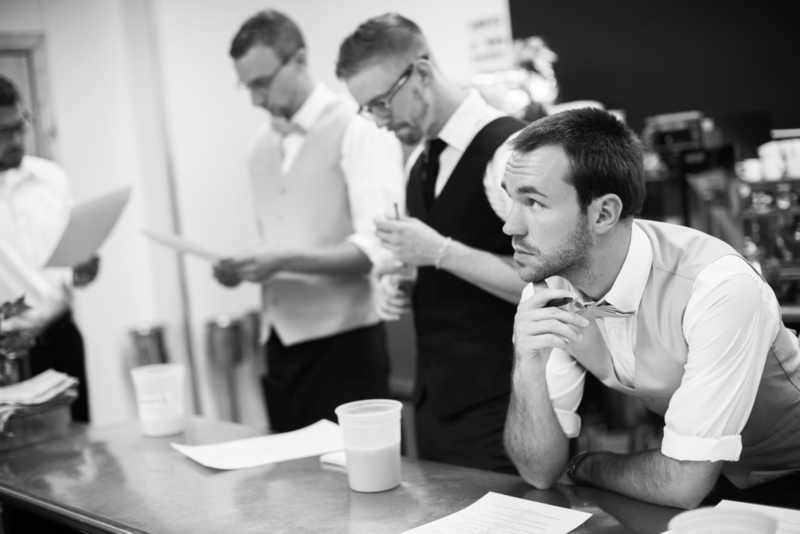 Beginning in 2012 as a dishwasher, Nick saw it as a “foot in the door” for the culinary field. 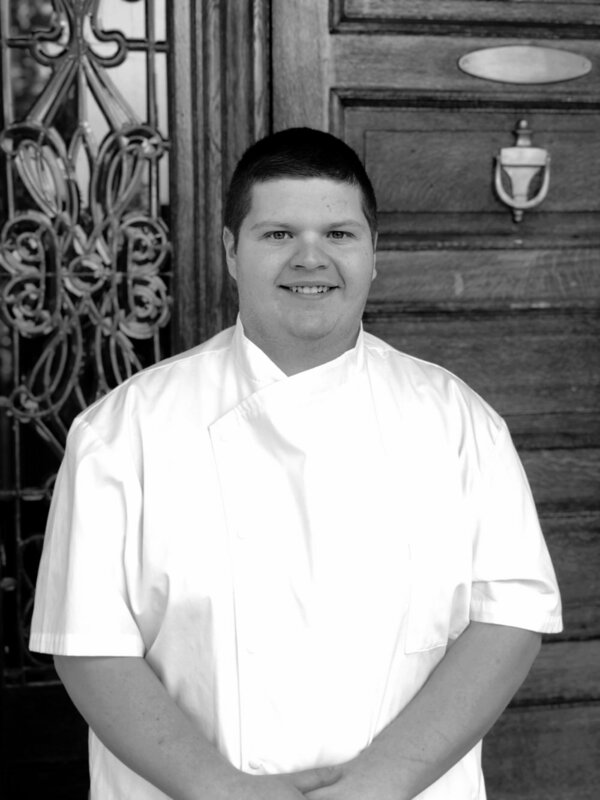 Steadily, Nick has trained with fantastic chefs and found his own voice & style in the kitchen. From intimate gatherings, to large weddings, Nick has maintained a steady hand and a good laugh through it all. In the Fall of 2018, Nick was promoted to Kitchen Manager, and works alongside our Executive Chef to train staff, create fantastic dishes, and experiment with new techniques and products. With a passion for not only food, but the Wilton House itself, Nick has been an encouraging force as we continue to adapt and push ourselves further. We’re happy he has continued his growth with us. "Bartending has been the perfect avenue for me to travel, meet interesting locals in different places and, of course, it’s put me close to a lot of incredible food. I love checking out other bars and restaurants, swapping notes with other bartenders and seeing what people are drinking." Having worked as a bartender in both the states and abroad, Ben Miller has brought with him not only immense knowledge and skill, but also a knack for great story telling. The deep history of the Joshua Wilton House invites those with a curiosity for not only fantastic craft cocktails, but fantastic conversation as well. Join Ben in the bar to add your piece of history to the house. Ben's resume includes:The Rialto, a hotel cocktail and whiskey bar in downtown Melbourne; The Local Taphouse, a rooftop craft beer garden in St. Kilda, Melbourne; Real, a gastropub/craft beer bar in Honolulu; and Blackbird, a cozy but upscale farm-to-table restaurant in south Minneapolis. Tim Williams has over 10 years worth of experience in hospitality, working in the DC Metropolitan area at such places as Ruth’s Chris Steakhouse, Vermillion, and Bourbon Steak at the Four Seasons Hotel. Tim brings the same passion for food, drink, and customer service to our Inn at the Joshua Wilton House. Tim has been in the Harrisonburg area for two years and also works in our sister restaurant, the Local Chop and Grill House as one of their lead servers. He is passionate about the food industry in Harrisonburg and is constantly seeking to find new ways to better our guest’s experience while visiting the beautiful Shenandoah Valley. Feel free to ask him for food and beverage recommendations as well as activities to participate in around town while you are staying with us!